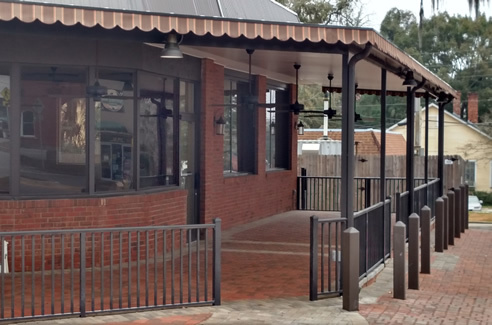 At All Custom Aluminum, we construct awnings from insulated and non- insulated aluminum panels as well as provide motorized retractable and fixed canvas awnings. We can cover most any patio, deck, or slab with a cover which will provide shade and refuge from rainy weather. 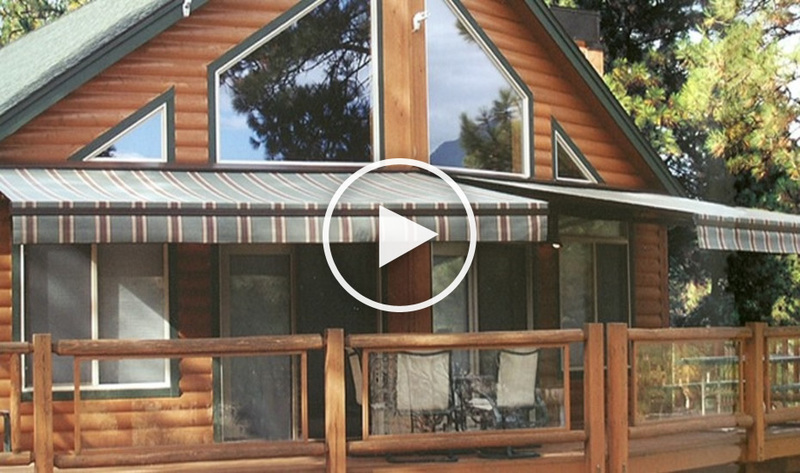 There are many types and varieties of awnings, and the options are virtually endless. But there are some main types to consider in finding the one which is right for you. All Custom Aluminum sells canvas fixed and retractable awnings in a myriad of designs and options. For windows and doors, we offer fixed models which have varying projections up to about 42 inches. These models are available in hundreds of Sunbrella brand fabrics and come with warranties which cover the frame and the canvas. We also sell retractable awnings, which come in a much larger range of sizes all with the same durable, mold and mildew resistant Sunbrella fabric. 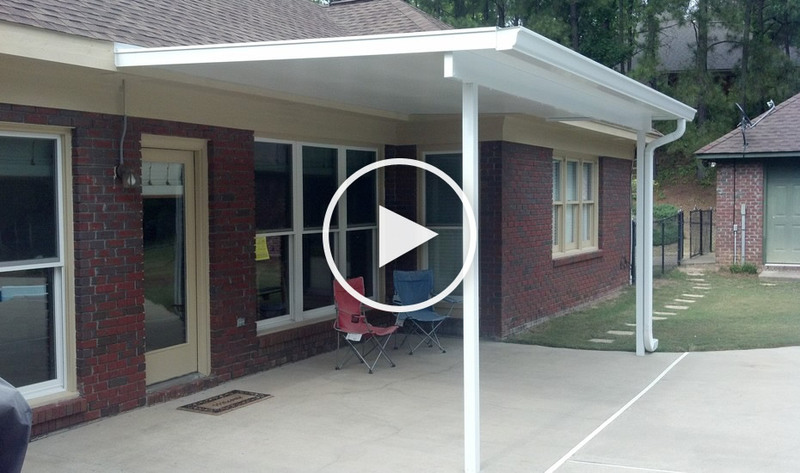 Retractable awnings can be mounted to walls, hung from overhangs, and even roof mount options are available. They can be manually operated with a crank, or motorized for remote operation. Available in projections of up to 14 feet and widths of 25 feet or more, there is sure to be a mounting option and model to fit the bill. Although canvas retractable awnings have their niche there are some important things to remember when considering this option. First, since retractable awnings aren’t meant to be left extended in windy or rainy conditions, they are not as versatile as other types of awnings. More than anything, they are meant to provide fair weather shade to a specific area, then go away when not in use. Also, when choosing a color, be aware that lighter colors allow more light to pass through, reducing the shading coefficient. Pick a darker color for heavier shade. Finally, these awnings slope at a significant degree, so be sure you have a good starting height and plenty of room to drop and still retain head room, or you could end up feeling somewhat confined. All Custom Aluminum sells a line of metal window and door awnings in a variety of designs and colors. 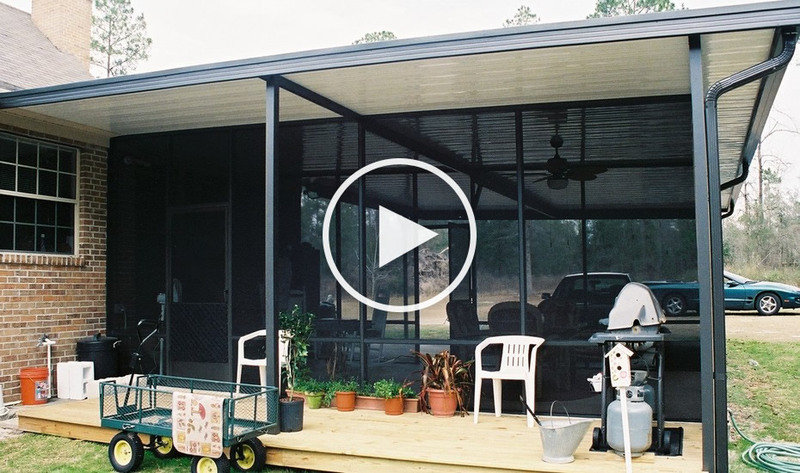 Whether it’s a modern look, or the old fashioned clam shell, Bahama shades, or window awnings that retract for adjustable shade, we have it all. As with so much that we do, all our awnings are custom manufactured to your measurements for a perfect fit every time. For those with a deck, patio, or slab who want protection from the rain and shade, but would rather leave the sides open, All Custom Aluminum constructs metal patio covers for any need in a variety of styles, colors and specifications. These installations are constructed to wind loads up to 140 mph, as well as snow loads, and unlike other options are a permanent addition built to withstand the harshest weather Mother Nature can throw at them. Our non-insulated aluminum pan roof system gets it strength from the 3 inch riser and can span up to around 13 feet. This roof system affords protection from rain as well as shade for a low price and is our most economical metal patio cover. These roof systems are typically mounted to the fascia of the home and have a very slight slope, which preserves the volume under the cover. Moreover, these patio covers come complete with an integrated gutter and decorative fascia system which serves to trim out the edges for an appealing aesthetic look. For areas that take more sun, our insulated aluminum composite roof system may be a better choice. Price only a bit higher than the non-insulated roof system, this composite has many advantages. First, it is walkable and can support weight. This makes maintenance a breeze and demonstrates the quality of the product. The insulated system also will tend to deaden sound like rain drops. And the insulated roof also can incorporate internal chases for fans and lights, making this a very versatile and adaptable product. This engineered system can span about 16 feet with a standard thickness, and can achieve greater spans by increasing the density or thickness of the compressed polystyrene core, or adjusting the gauge of the skin. And because our aluminum components integrate so well together, you still have the option of adding screen or glass walls seamlessly at a later time, allowing projects to be completed in stages. All Custom Aluminum build carports of all shapes and sizes. Whether it is attached or free standing, our carports are built to the same wind load standard as your home, giving you piece of mind. After all, next to homes, automobiles are our second most valuable investment. It makes sense to protect their value. 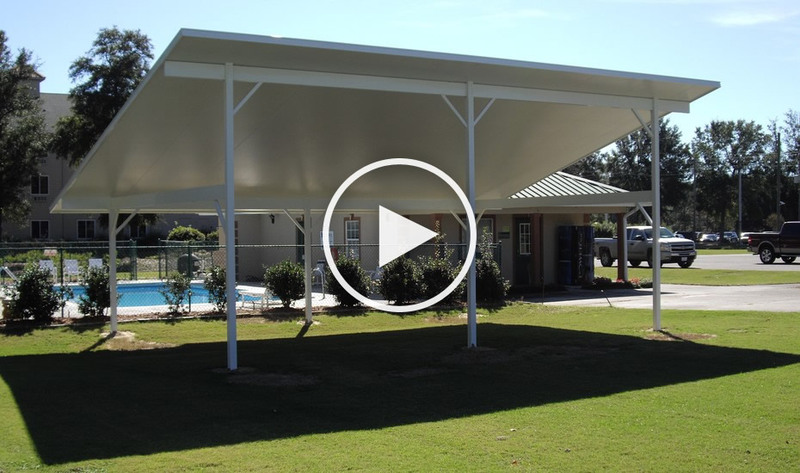 Because carports tend to contain a lot of square footage, and are not meant to be living space, the non-insulated aluminum pan roof system is the usual choice for these structures. Although, there are cases where the use of the insulated composite system allows greater free spans and can be very competitive in price. Figure on around 13 by 20 feet for each vehicle, unless you have large trucks or SUVs. Since our roof systems slope at only ½ inch per foot, we can cover large areas without having to drop too low. And unlike many of the stand-alone carports sold today, our installations are not only code compliant, they include all finished surfaces in your choice of colors for a more finished appearance.